Here at We R Memory Keepers we’ve always got exciting things going on, and today is no exception! 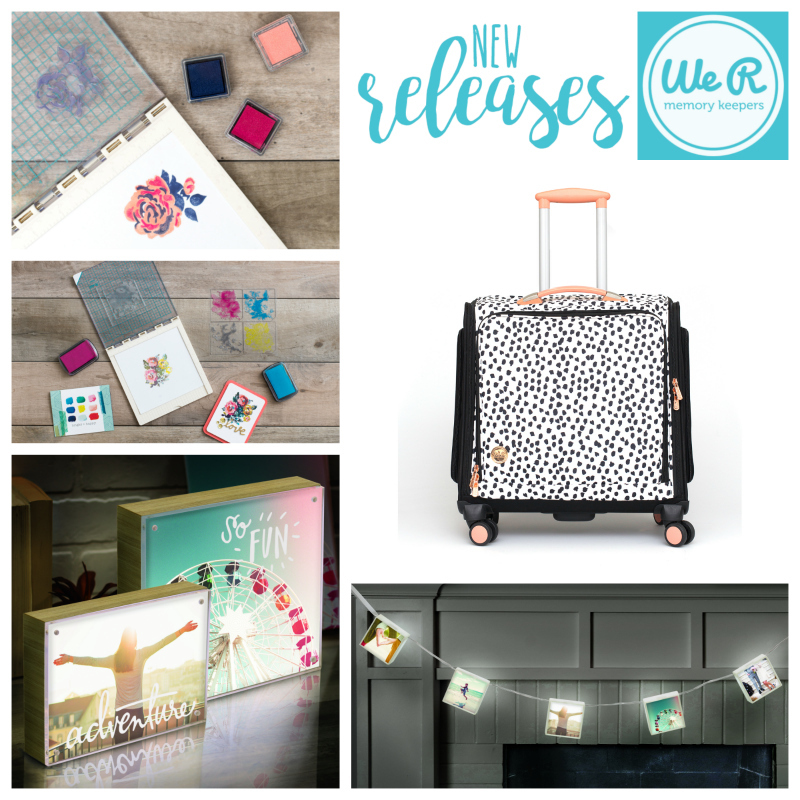 We’re thrilled to announce three more new releases that we know you’re going to love. Let’s start off with the Precision Press. 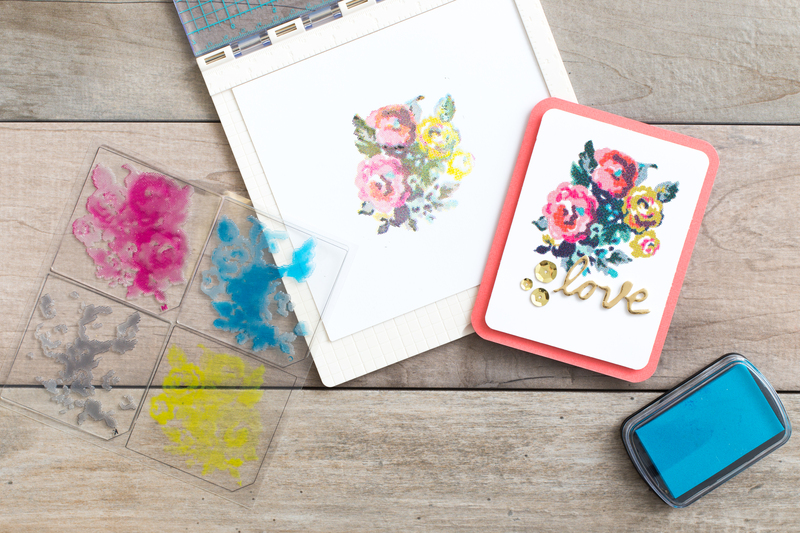 If you like to include stamping on your paper craft projects, this tool is for you! Inspired by our Letterpress Platform, the Precision Press makes stamping a breeze. Stamp anywhere on a 12×12 (or smaller) page using the handy measurement grid for easy alignment and non-slip surface to keep projects in place. 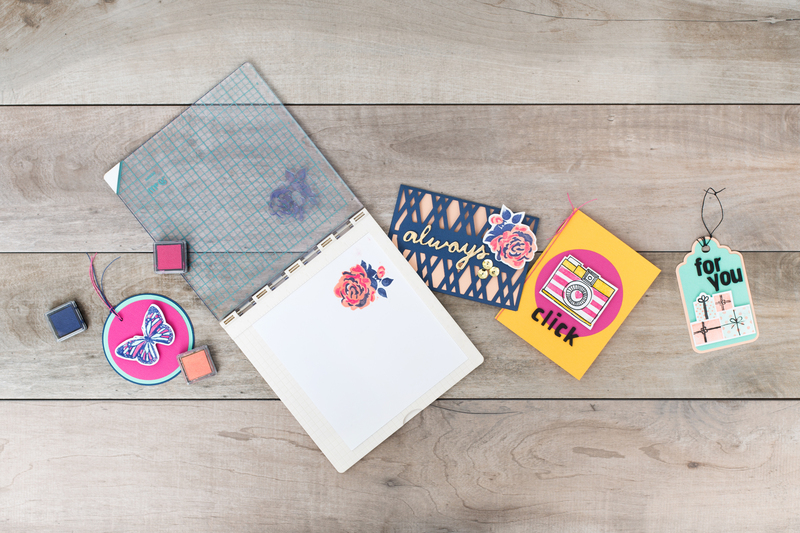 Easily re-ink your stamps for better coverage; layer stamped images with perfect precision for added dimension; and create multiple print run projects in no time. This program also includes CMYK stamps (cyan, magenta, yellow, black), which use a traditional printing process to achieve a full range of color. The stamps work best with the CMYK Inks and Precision Press tool. 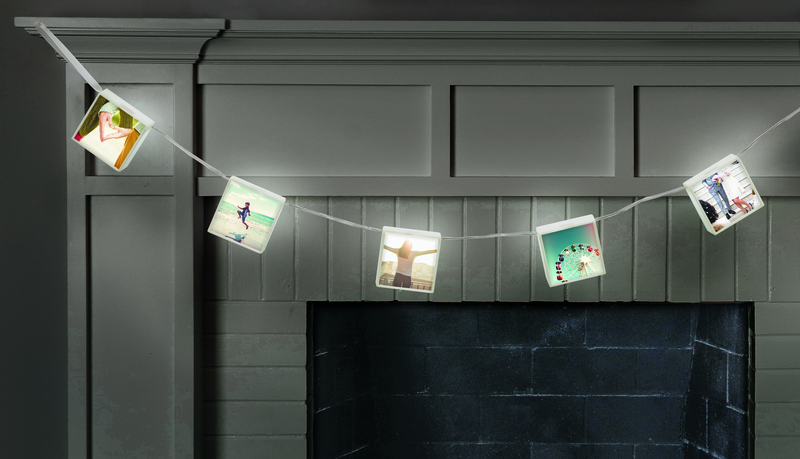 Get your gorgeous photos off your camera and out on display in your home with the new Photo Lights collection! 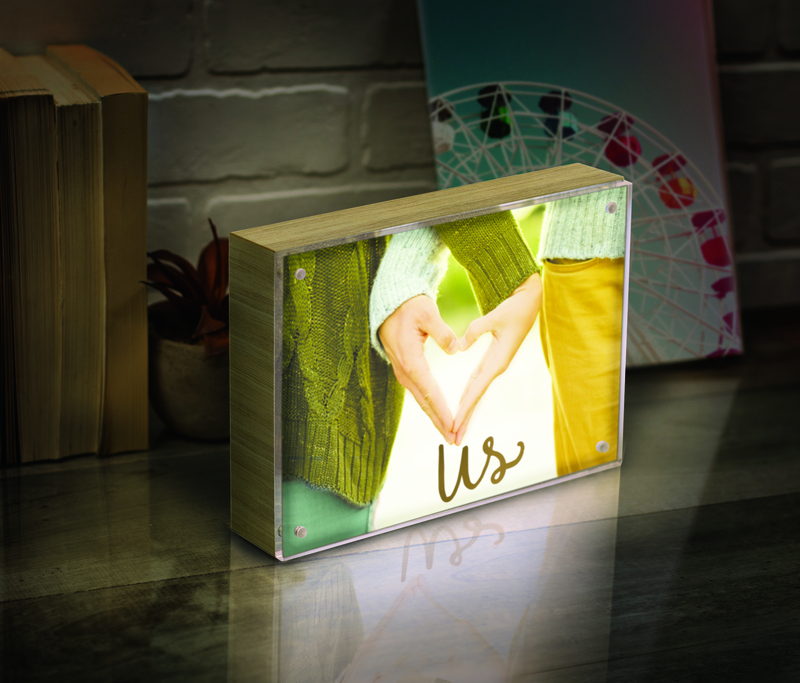 Print your own photos onto special backlit paper and display them in lights. Use our backlit photo paper to print your own photos at home with an inkjet printer. 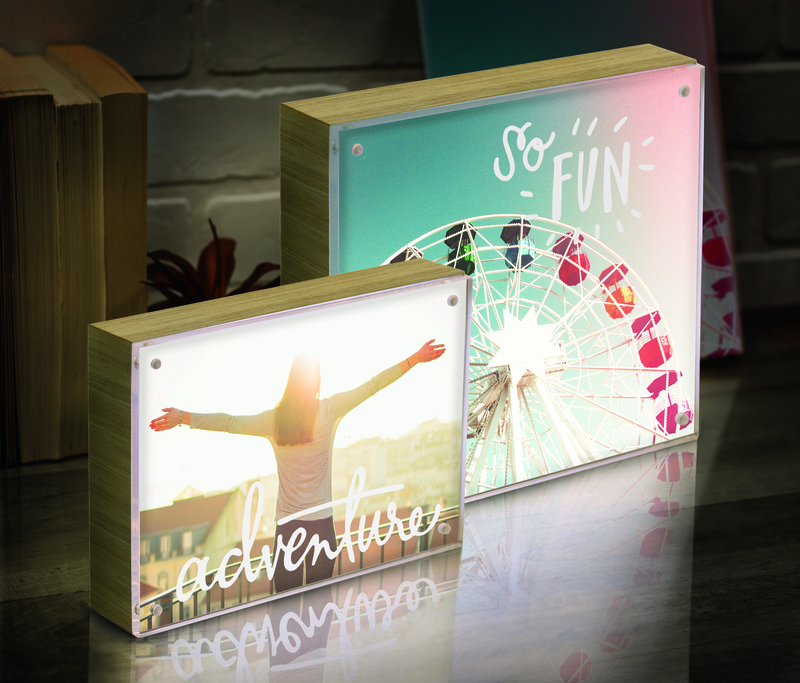 The Light Box Photo Frames illuminate your photos for an enhanced look. This new collection is perfect for home decor, weddings, and special events. The frames features 1 and 6 hour timers. Choose from 8×8 and 5×7 sizes in ebony or natural wood, or hang your backlit photos with the light strand option. For a more decorative look add fun photo rubons in black, white, or gold. Enjoy the latest edition of our popular Crafters Bag in black and white, with rose gold accents and a chic dalmation print. As with our other 360 bags, the handle is fully expandable and the interior holds multiple storage pockets and features. These new items will begin shipping to retailers shortly, so watch for them within the next month or so. For help finding a local retailer, please contact wrsocial@americancrafts.com. Well, that’s all for today friends. What do you think? Which of these new releases are you drooling over? Tell us in the comments below. Does the Precision Press work with regular rubber stamps? Where can the precision press be purchased? I did not see it on your site. Love those photo light boxes!!! And the precision press!! We need these in Australia ASAP!!! I love the Precision Press. As I get older, it is more difficult to stamp clearly where I want the image. Since this tool allows all sizes from embellishments to scrapbook pages, it is very functional. The Precision Press is on my wish list! I love the precision press! Can I just say, I Want it all?! I’m so excited for the precision press and the light box photos. So fun!! I am also like so many happy for the precision press..Thanks for sharing..
Love the light box frames! They are so cool! Love all the photo light options! When and where will these be available?? Love the precision press! How it’s cheaper than the Misti! The Precision Press looks like something I would use on my scrapbook pages to help keep things aligned. So excited to get my order from HSN with the precision press. I keep checking the order status and am sad to see packaging lol. Can’t wait to give the Photo Lights paper a try. Looks like it could be fun for a collection of favorite photos. I’m excited for the precision press! This tool will make stamping beautiful images so much easier! I can not wait for the Precision Press! Will definitely make stamping multiples so much easier! Love the size of precision press, will be great for stamping on A4 Wedding invites. Those photo lights and the stamp tool (I missed it on HSN) hoping Santa finds one! Great new products as usual. I love the precision press. The Photo Lights have me salivating!! Cannot wait to get my hands on a few of these to display photos of my 3 extraordinary grandchildren!!! They will now be able to shine through photos too! TFS! I’d LOVE to get a precision press but I live in Adelaide Australia, where would I get one from and how much would it cost as I cant find any prices. As always some amazing, inventive new products. Love them all! Can hardly wait for the stamping precision press! Oh my word so excited for the Precision Stamping Press, hopefully you have a smaller like 6×6 or 8×8 version in the works as well!! The photos in lights is super cool as well. What wonderful new things to dream of. I am so excited for the precision press! I wanted to buy it on HSN but got there too late to grab one!